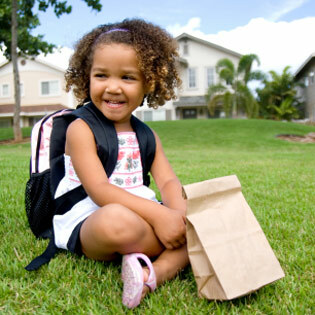 Thanks to all of the families who visited our summer meal sites in 2014. We’ll be back in June 2015. 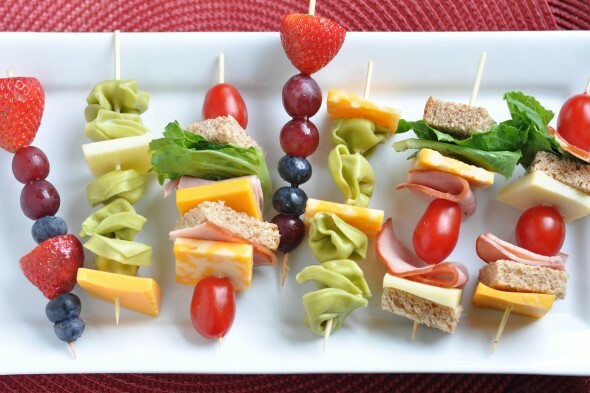 If you have feedback on our summer meal program, please contact Kate at info@hungerintervention.org. 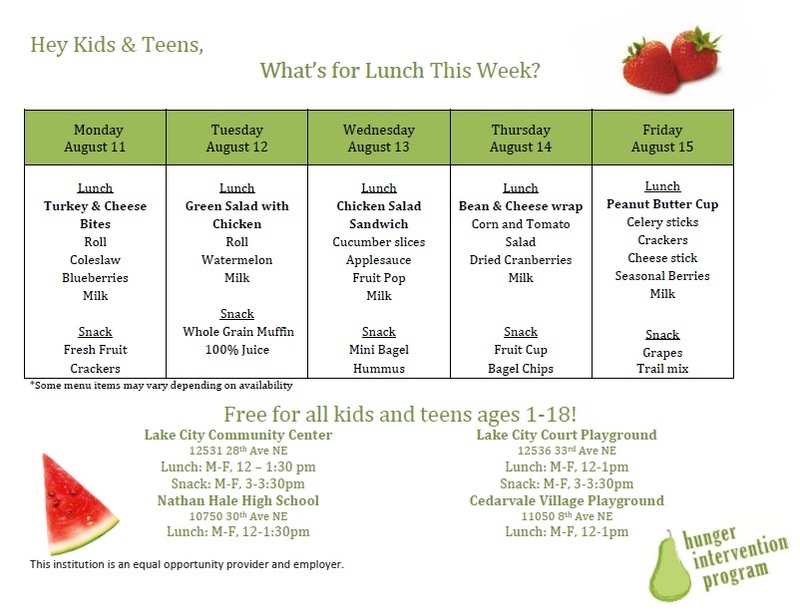 Summer time is here and that means any kids and teens 18 and under can access free lunches throughout the city at schools, parks and community centers. At HIP’s meal sites, we have games and activities going on each day at the sites as well. Check out this week’s menu below. All sites open Monday through Friday from June 23rd to August 29th. If you wish to file a Civil Rights program complaint of discrimination, complete the USDA Program Discrimination Complaint Form, found online at http://www.ascr.usda.gov/complaint_filing_cust.html or at any USDA office, or call (866) 632-9992 to request the form. You may also write a letter containing all of the information requested in the form. Send your completed complaint form or letter to us by mail at U.S. Department of Agriculture, Director, Office of Adjudication, 1400 Independence Avenue, S.W., Washington, D.C. 20250-9410, by fax (202) 690-7442 or email at program.intake@usda.gov. Individuals who are deaf, hard of hearing, or have speech disabilities may contact USDA through the Federal Relay Service at (800) 877-8339; or (800) 845-6136 (Spanish).